ppen afterall. Six years we’ve planned and saved and worried and worked and studied and learned. Seeing that all come to an end was an amazing feeling. Now we’re inside the Navy Building at Fleet Marine in Port Townsend. We’ve been working for a month on the boat and we’re still in the “destruction” phase. 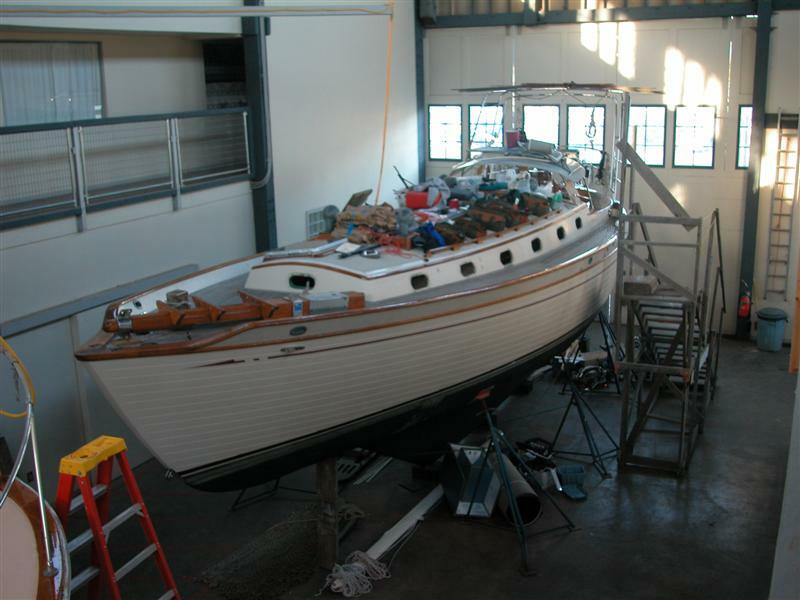 We have 3/4 of the caulking stripped from the teak decks, and all the portlights pulled and ready for refinishing. I’m going to start stripping the stain and oil from the interior teak tomorrow, hoping to have a nicely varnished interior in another 2 months. Rob has lots and lots of new “schtuff” to install in the next two months, including solar panels, wind generator, new electronics, new galley, new heater, etc, etc. Our “plan” is to have the boat done and head north May 1st. We’re working hard and hoping for the best.